Calgary, Alta. 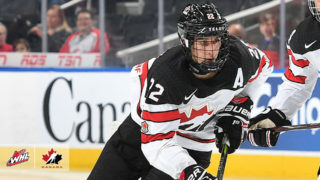 – The Western Hockey League announced today that Pittsburgh Penguins prospect and Moose Jaw Warriors forward Justin Almeida has been named the WHL On the Run Player of the Week for the week ending January 20, 2019. Almeida recorded eight points (3G-5A) and a plus-four rating in four games this past week as the Warriors began their biennial road trip through the B.C. Division with a 3-0-1-0 record to keep them in third place in the East Division. 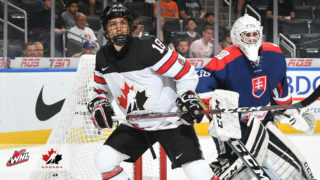 Almeida is a prospect of the National Hockey League’s Pittsburgh Penguins, selected in the fifth round, 129th overall, at the 2018 NHL Draft. Tuesday, Almeida scored twice, earning Moose Jaw’s second goal on the power play and fourth goal on even strength, while also adding a pair of helpers on the Warriors’ third and fifth goal. Almeida’s contribution led to a 5-2 win in Kamloops against the Blazers as well as first star of the game and first star of the night honours in the WHL. Against the Kelowna Rockets on Wednesday night, Almeida picked up another power-play goal in the second period, helping the Warriors win against the Rockets, 5-1. 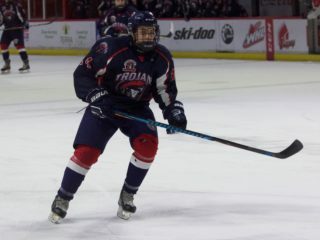 Friday, Almeida had three assists in the Warriors’ 4-0 shutout against the Victoria Royals. Although the Warriors were dealt an overtime loss in Vancouver the next night, 2-1, Almeida finished his successful week by leading his team with seven shots on net. The 5-foot-11, 160-pound forward is enjoying another solid season with the Warriors, posting 59 points (14G-45A) in 39 games, including six power-play goals, one short-handed goal, and one game-winning goal. 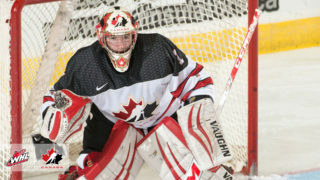 Originally selected fifth overall, at the 2014 WHL Bantam Draft, Almeida began his WHL career with the Prince George Cougars, joining the Moose Jaw Warriors via trade in January 2017. The Kitimat, B.C. product has played in 231 WHL games, recording 191 points (70G-121A), including 21 power-play goals, seven short-handed goals, and 12 game-winning goals. The Warriors return to action Tuesday, January 22 (7:00 p.m. PT), as the B.C. Division portion of their road trip wraps up at the CN Centre in Prince George against the Cougars.